Who doesn’t love ranch salad dressing? Homemade ranch dressing is that much better. Ranch dressing may be the most requested dressing in restaurants. Before ranch dressing became a commercial blockbuster, I made this type of dressing for sandwiches at home. When Hidden Valley hit the market some decades ago, my friends thought Hidden Valley had stolen my homemade dressing idea. The fact is, this type of creamy dressing is part of many cultures. It is easy to make at home and adds great sparkle to a meal. 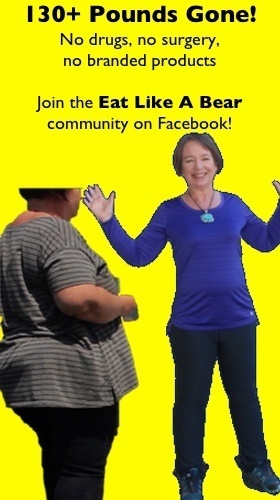 In fact, once you learn this process, you will probably never buy a commercial version again. 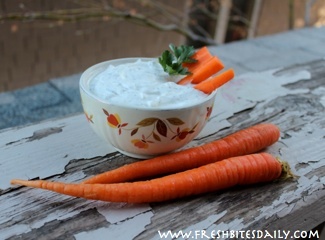 Homemade ranch dressing wins the taste test and it is a great value. One cup mayonnaise (homemade or a good-quality commercial version). Two tablespoons of chopped chives. One tablespoon of dill weed. If you do not have fresh herbs, you can substitute for dried herbs. I recommend that you find an organic source and buy in bulk because you are going to make a lot of this dressing and use a lot of herbs. Mix together mayonnaise and sour cream. Add pepper to your homemade ranch dressing after you have dressed your salad. Try fresh ground pepper for a treat. For variety, add crushed garlic or lemon juice and curry powder. As a note, these proportions work well in our kitchen. Change them to suit you own needs and tastes. 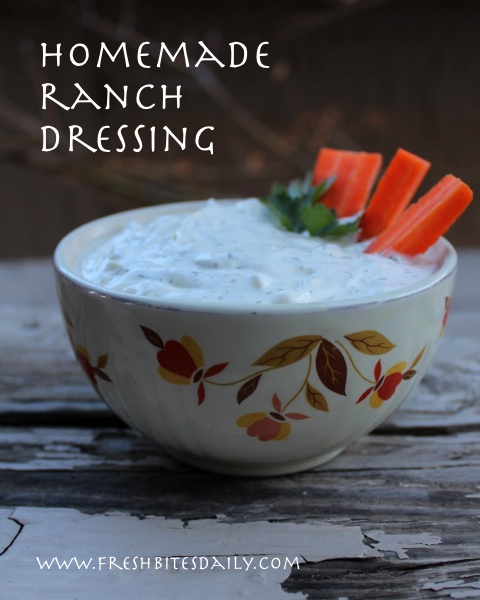 I recommend making this homemade ranch dressing dressing in large amounts because you will find yourself using it on all sort of things. Top a baked potato with homemade ranch dressing. A large plate of steamed vegetables and a baked potato topped with homemade ranch dressing is heavenly. Add your homemade ranch dressing to tuna or salmon to make a salad. In fact, we often top our green salads with canned salmon in this way, as posted on the Rebuild from Depression blog. 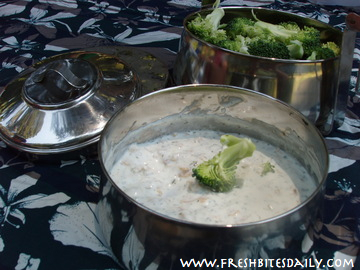 Add clam or crab for extra protein and use as a vegetable dip. This also becomes an easy packed lunch. We packed a similar item and took it to the Giant Sequoias near our home for a great travel lunch. It is pictured here at right. Garnish your fine soups with a bit of homemade ranch dressing. 2 Comments on "Friends thought Hidden Valley had stolen this ranch dressing from us but it’s a classic that predates the bottle…"
I have some raw milk in my fridge that’s just beginning to sour. Still drinkable but not as sweet. How can I use this in this ranch dressing recipe?